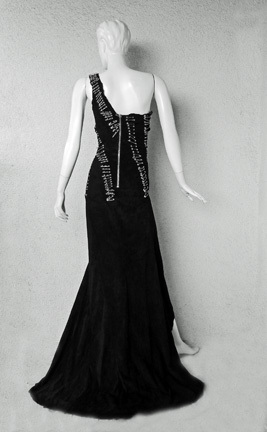 Fall/Winter 2011 safety pin embellished one shoulder gown fashioned in ultra soft black bias cut suede; uneven neckline, slit through front; distressed edges and lined in leather. 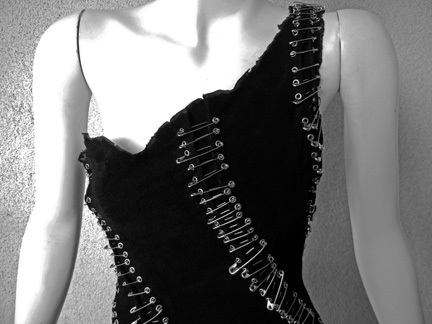 Asymmetric silver zipper fastening through back... a hallmark of the Balmain brand. 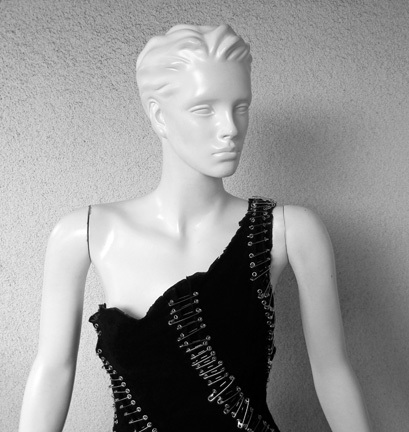 One can't help but recall the Gianni Versace 1994 safety pin gown worn by Liz Hurley that still remains a hallmark in fashion today. 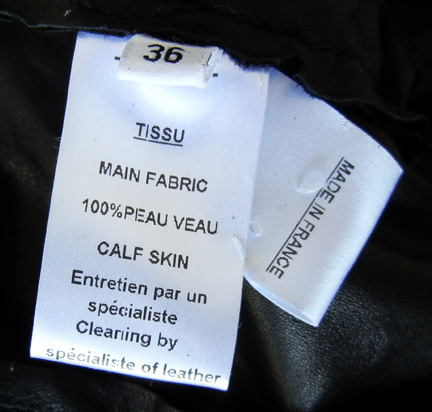 Size: 36; bust: 31-32"; waist: 24"; hips: 32"; front length: 59"; back length incl train: approx 72"